In May 1991, Freddie Mercury started recording vocals for "Mother Love", but upon reaching the last verse, he told his band that he had to "have a rest" and that he would return to finish it. He didn't end up making it to the studio, eventually succumbing to AIDS. Brian May sang the final verse. 27. On October 20, 1944, an above-ground natural gas storage tank began to leak. The gas eventually made its way into the sewers of Cleveland and ignited, blowing manhole covers miles away and shooting flames up through the plumbing of homes. 130 people were killed. 28. On June 8, 1921, Babe Ruth was jailed until 4 p.m. for speeding -- an hour after the Yankees game began. He had his jersey delivered to the jail, changed in his cell, then was police escorted to the game. He pinch-hit walked in a 4-3 win over Cleveland and became the Homerun champ 2 days later. 29. On 16 November 1949, students in Ghent (Belgium) stormed the medieval castle (Gravensteen), lowered the portcullis and threw fruit from the walls at the police to protest a new tax on beer. The event is still commemorated yearly by the city as the greatest student prank in its history. 30. On March 6, 2010, a blind hiker named Mike Hanson set on the Appalachian trail with a goal to inspire other visually impaired people. Seven months later, he finished hiking the 1,700 miles using only a cell phone, GPS open-source software, and hearing to locate camps, trailheads, and water sites. On November 22, 1963, just hours after JFK's assassination, comedian Lenny Bruce performed a scheduled nightclub gig. Bruce walked up on stage and stood in silence for a few moments. Then, referring to the famed JFK impersonator, he stated in a sad voice "Boy, is Vaughn Meader f*cked." 33. On August 13, 1966, in response to John Lennon's "More popular than Jesus" comment, a radio station in Texas held a burning of Beatles merchandise. The next day, the broadcast tower was struck by lightning, damaging much of their equipment and sending the news director to the hospital. 34. On June 6, 2013, John Malkovich saved a 77-year-old man's life after the man tripped in the streets of Toronto and slashed his throat on scaffolding as he fell. Malkovich applied pressure to the man's neck before the man was rushed to a hospital, where he received stitches. 35. In November 1994, Tim Allen starred in the highest grossing film, Disney's "The Santa Clause", topped the New York Times best-seller list with his book "Don't Stand Too Close to a Naked Man" and appeared in the top-rated TV series "Home Improvement", all within the span of one week. 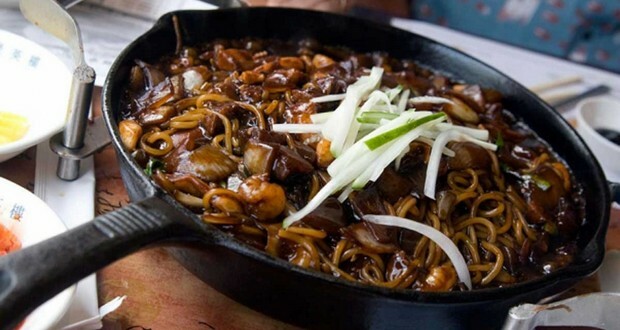 There is a thing called Black Day (April 14) in South Korea where the people who didn't receive anything on the equivalent of Valentine's day eat black noodles and mourn being single. 37. In March 1989, an asteroid (4581 Asclepius) passed through the exact position where Earth was only six hours earlier. 39. On January 3, 2005, FOX made a reality show named "Who's Your Daddy?". It starts with an orphan that is introduced to eight men and tries to figure out which one really is her father. If she’s right, she wins the cash prize. If she’s wrong, the “dad” who’s conned her takes the money. March 6 is the official "Day of the Dude", in the belief system of "Dudeism." 42. On February 15, 2003, millions of people protested the coming Iraq war, which in 2004 Guinness listed as the largest protest in human history. A month later the U.S invaded. 43. November 28, 2012, was the most peaceful day New York City ever had - without a single reported murder, shooting, stabbing or other incidents of violent crime. 44. Thousands of Afghans share January 1st as their birthday because they don't know when their real birthday is. 45. In January 1979, a 16-year-old girl named Brenda Ann Spencer was arrested after killing a principal and a custodian at an elementary school in California. When asked why she did it, her reply was "I just don't like Mondays." 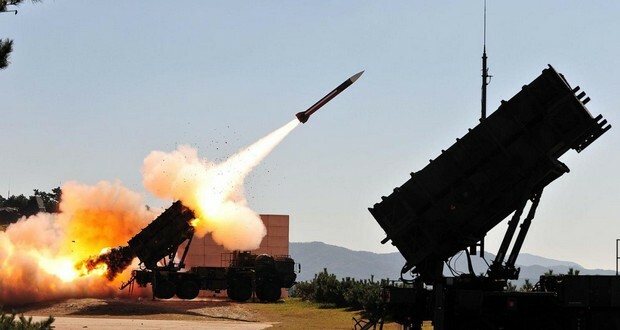 On February 25, 1991, 28 US soldiers died when a previously reported software glitch in the Patriot Missile system's clock prevented it from shooting down an Iraqi SCUD missile. A software patch to fix it was released on the following day. 47. November 5, 1999 was “Burn All GIFs” Day, when the internet banded together to put an end to the GIF format of images once and for all. It didn't work. 48. On December 8, 1941, over 81% of American households tuned in to FDR's "a date which will live in infamy" speech. 49. On 5 April 2010, there were four women in space at the same time, the largest female gathering off planet to that point. 50. On December 11, 2002, two motorists called the police reporting of a car veering off the road. A search uncovered a car concealed in dense undergrowth and the long-dead driver nearby. The man had in fact been dead for 5 months.